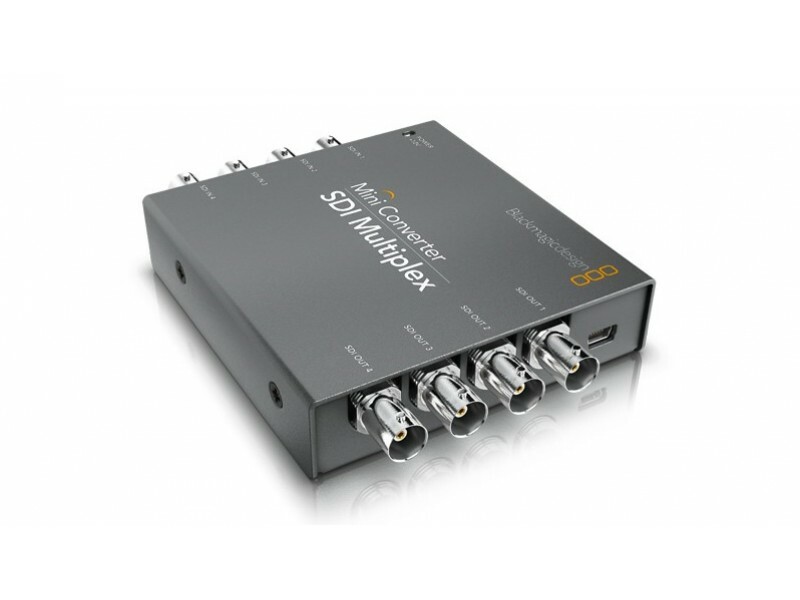 Blackmagic Design Mini Converter SDI Multiplex 4K CONVMSDIMUX4K you need when converting between Quad Link HD-SDI, Dual Link 3G-SDI and Single Link 6G-SDI Ultra HD equipment. 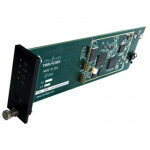 Mini Converter SDI Multiplex includes 4 x 3G-SDI inputs and 4 x 3G-SDI outputs so it can convert in both directions. 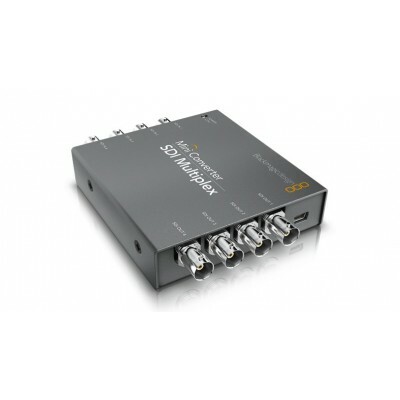 Also converts between Dual Link HD-SDI 4:4:4 and Single Link 3G-SDI.